On the morning of Nick and Amy Dunne’s five year wedding anniversary, Nick comes home to find the front door wide open and no sign of his wife. What the police find in the house are signs of a struggle and next door neighbors who remember Nick as both physically and emotionally abusive. Nick maintains he’s innocent, but as the investigation into Amy’s disappearance unfolds, some nasty skeletons come out of his closet, which cause everyone around him (even his own twin sister) to question his innocence. 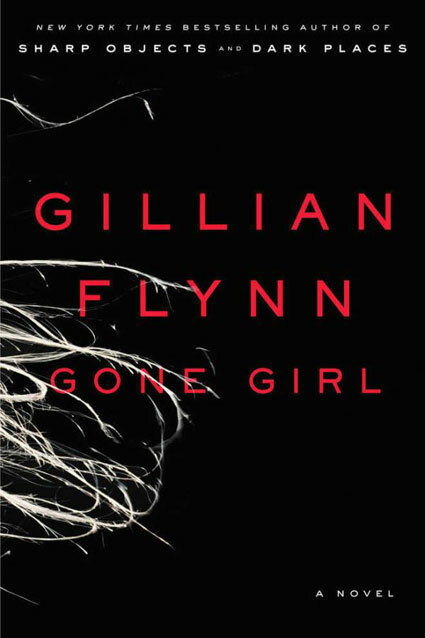 Gone Girl is told from both Nick’s real-time experiences as the case progresses and Amy’s journal of events leading up to her disappearance. Eventually the two narratives meet for an ending that will keep you guessing until the very last page. With just two other novels under her belt, Gillian Flynn is a relatively new author to the Mystery/Suspense genre, but word of mouth helped propel Gone Girl to #1 on the New York Times Bestseller List last year – and for a good reason. Flynn weaves a psychologically thrilling tale that you simply cannot put down once you start reading. The writing is crisp, the story moves along at a brisk pace and there are several plot twists, which keeps the readers engaged. A must read for anyone who enjoys an intense, psychological thriller. I’ve been anxious to read this, and your review has piqued my interest again. I love psychological thrillers and thinking I may need to bump this one up in the TBR list. Many thanks for posting. I’ve heard good things about it. Now that I read your review, I may just order it. Thank you. In fact, I have just ordered it :). Thanks again! I hope that you like it then! I wouldn’t want to be responsible for someone spending money on something they didn’t like.